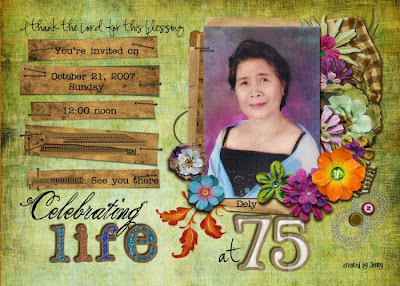 Today is my mom's 75 b-day and we thank the Lord for this wonderful blessings for her. She still looks young and still very active and quite healthy. We will give her a party on Sunday and we are actually busy preparing for the things we need. The boxes that my 2 sis abroad already came yesterday and today so we are very happy esp. mom. 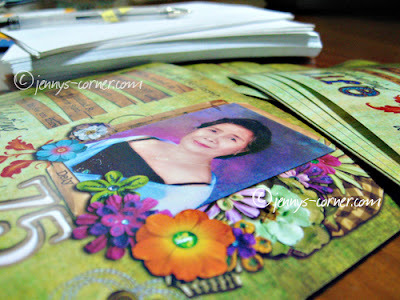 Here is the invitation that i made for mom, i had it printed 5 x 7 and it turned out so nice. I also made a tarpaulin for her and i will just share it here once it is finished.